Yep. It’s true. Heck, if you think about it, the College Football Playoff Selection Committee (CFPSC) isn’t just un-American. It’s downright Communist. Think about it. 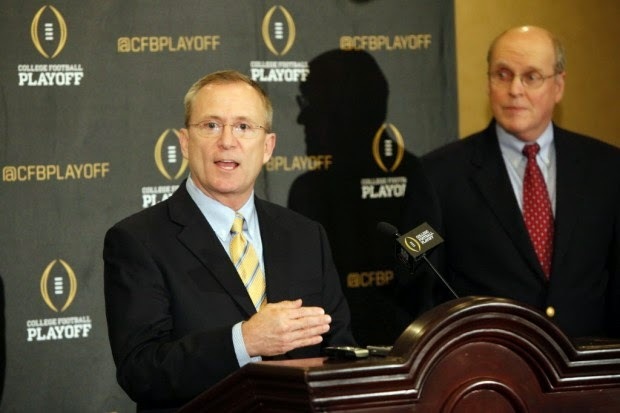 NCAA College Football Selection Committee: Un-American? Comprised of a group of politicians and cronies who decide what’s good for everyone else. 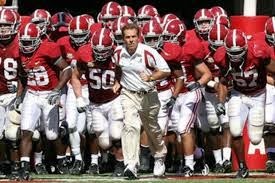 Comprised of a group of politicians cronies who decide what’s good for college football. Using objective data, subjectively decide the resource allocation to the proletariat. Using objective data, subjectively decide which college football teams deserve to play for the national title. While outwardly maintaining the system benefits the masses, decisions unfairly benefit only a few. While outwardly maintaining the system benefits the fans, decisions unfairly benefit only a few. Chairman uses media to cheerfully explain the benefits of the system. Everyone lives with less except the committee cronies who divide the limited resources. Fans and schools live with lesser bowl games and a less interesting playoff system except the CFPSC crony schools which divide the limited resources. Potentially, the two most egregious omissions from the College Football Playoff exist in the Big 12 and Southeastern (SEC) Conferences. First, while Baylor and TCU both have identical conference and overall records and Baylor beat TCU in a head-to-head game, the Communist Party . . . er, I mean, the CFPSC has ranked TCU higher than Baylor, which means TCU may get a berth in the first college football playoff and Baylor may not. Second, either Georgia or Missouri, currently ranked 9th and 17th, respectively by the committee, will win the SEC East Division. The Bulldogs or the Tigers will then play the winner of the SEC West Division, either Alabama, currently ranked #1, or Mississippi State, #4 for the SEC Championship. However, if either Georgia or Missouri earn that title by actually winning the SEC, it is unlikely under the CFPSC that either will earn one of the coveted four playoff spots due to nebulous reasons like "body of work," "Top 25 wins," or something else. That would be idiotic, right? Here’s The Single Father's Guide answer. The NCAA College Football playoffs expand from four teams to eight teams and merit determines the playoff spots. Each of the winners of the five “power conferences,” the ACC, Big 12, Big Ten, SEC, and PAC-12, are in. Then, as in a representative republic, coaches of all NCAA Division I Football teams vote for the next three schools, similar to a wild card system, based on the proportional populations of its student body. For example, a school that has a student body of 30,000 would have three times the weight of a school that only has a student body of 10,000. Merit is rewarded, as potentially are special cases such as independents like Notre Dame, which plays a strong schedule each year, the small conference powerhouses like Marshall and Boise State if the non-conference schedule is reasonable, and the hard-luck teams like an undefeated or one-loss power conference team that loses its conference championship. Is any system perfect? Well, no. Moreover, there will always be subversives who want to undermine a merit system for those who believe they know better. At least with “The Single Father’s Guide to the NCAA College Football Playoffs,” we’d be starting with the subversives NOT running the system.